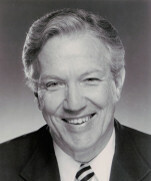 S T Kimbrough, Jr., is a native of Alabama and a member of the North Alabama Conference of The United Methodist Church. He holds a doctorate in Old Testament and Semitic languages from Princeton Theological Seminary and is a graduate of Birmingham Southern College and The Divinity School of Duke University. Kimbrough is an internationally known scholar/musician who has published numerous books and articles on biblical, theological, liturgical, musical, and Wesleyan subjects, and performed and recorded widely throughout Europe and the USA. He has served churches in Alabama, North Carolina, New Jersey, and Germany, and for a number of years as Associate General Secretary for Mission Evangelism of the General Board of Global Ministries of the United Methodist Church. Kimbrough has also taught on leading theological and university faculties in the USA and abroad including Princeton Theological Seminary, Friedrich Wilhelm University of Bonn, Germany, New Brunswick Theological Seminary, and the Illiricus Theological Faculty of Zagreb [formerly Yugoslavia], and since 1985 is a member of the Center of Theological Inquiry in Princeton, NJ. In the fall of 2004 he was the Distinguished Guest Professor at Wesley Theological Seminary and in the fall of 2006 he is the Bell Scholar at The Theological School of Drew University.He has conducted the seminary choirs at Duke’s Divinity School and Princeton Theological Seminary, conducted a chorale of youth from twenty-five nations in Bonn, Germany for over ten years, where he was leading baritone of the Bonn Opera Company for a number of years.